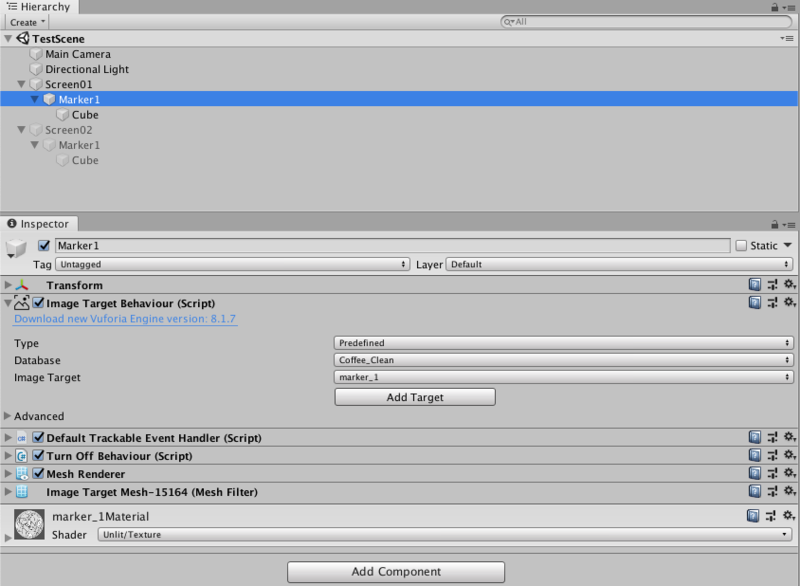 We are using a multi-screen setup in the Unity hierarchy to toggle different screens in the Unity app. 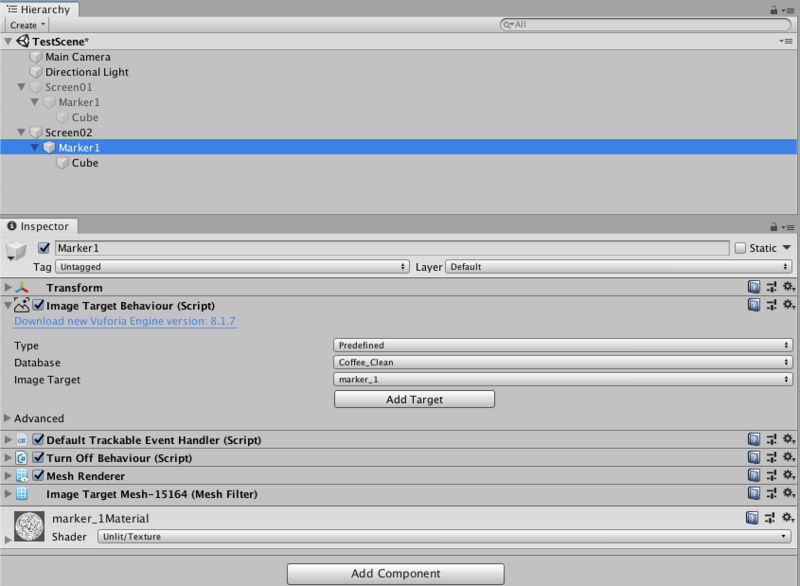 For example, when switching from Screen1 to Screen2, we disable the GameObject Screen1 and enable Screen2. Both Screen1 and Screen2 contain various child objects that should only be displayed at certain points in time. We would like to use the same Image Target in two different screens (see attached screenshots). When starting with Screen1 enabled and Screen2 disabled, the image target in Screen1 is being recognized and tracking works properly. When switching to Screen2 (i.e. enabling the GameObject Screen2 and disabling GameObject Screen1, Vuforia still logs a "marker found", but tracking does not work. Any thoughts on how to solve this issue would be greatly appreciated, thanks! There's actually no need to use two ImageTargets if you're using the same Target. Just place both "screens" as children of the same ImageTarget and toggle them there. That should give you better results.